So finally I was able to cook Spanish sardines last night. It’s not difficult to cook, it’s actually one of the easiest to do in terms of preparation. But, cooking takes about 30 to 45 minutes to finish. Place fish and the rest of ingredients inside the pressure cooker. Let it cook for 30 to 45 minutes. Serve with steamed rice or fried rice. 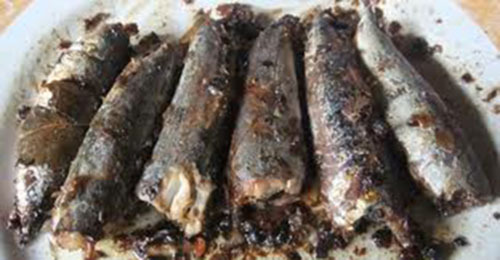 This entry was posted in Recipe and tagged homemade sardines, sardines, sardines spanish style, spanish sardines on March 16, 2012 by Yami. Thanks for sharing! I will try this soon. Looks really yummy! I’ll try making this perfect for the Lenten season. this is interesting! And parang mas okay kesa sa processed. Thank you so much for sharing <3 Sana matry namin!